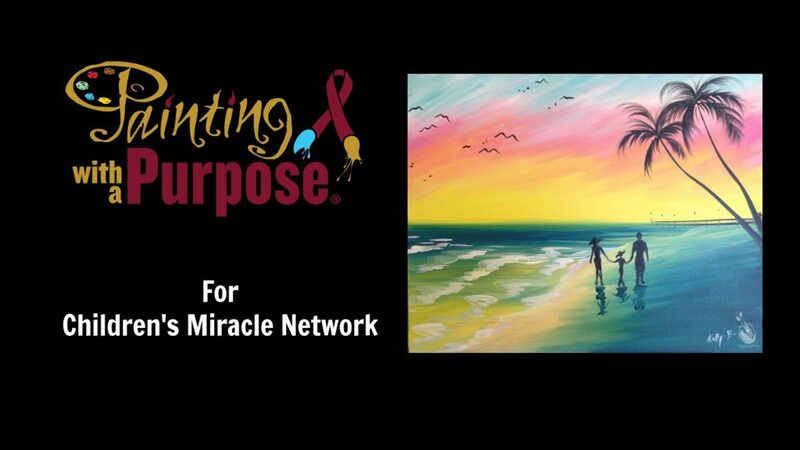 This is a Painting With A Purpose charity event benefiting the Children’s Miracle Network. Seating is limited and this event WILL sell out so don’t wait to make your reservation. This class is opened to the public. Class will begin promptly at 1 pm so we recommend arriving no later than 12:45 pm to get settled in. If you have any additional questions or concerns about the venue, please contact the studio at 772-210-5305. If you have any questions about the event itself, please contact Heather Gunnell at 850-232-9101.